Disclaimer: The Audeze LCD-MX sent to us for the purposes of this review is a loan sample and will be returned after this review. Thank you to Audeze for giving us this opportunity. Summit-Fi has experienced a boom in population over the past few years. 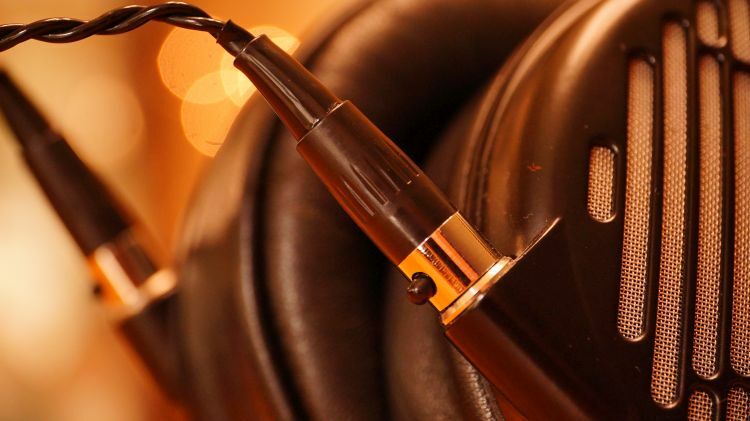 I’ve reviewed many of the flagship headphones on the current market, each of them stretching my wallet to a maximum capacity and all for the name of science! This time, Audeze has bestowed upon me their $2,995.00USD LCD-MX4, which, at least in my opinion, is a cross between the LCD-X and the LCD-4. This is a meshing of some good qualities taken from both. I have a lot to say about this one, so let us waste no time and get right to the review. Similarly to the older LCD-generation models, Audeze includes a large, extremely hefty and locking hard-case with the MX4 headphone. It is a mammoth of a box and I enjoy it a lot. It screams proper protection and safety inside. For $125 and through Audeze’s Accessories bin online, you can purchase a spare case if you don’t already have one. Not only is it waterproof, but it is also corrosion, UV, solvent, and fungus proof too. It also comes with a standard ¼ to 3.5mm male adapter. You’ll need it if you plan to use the MX4 on a portable setup and don’t have any custom 3.5mm cables from prior LCD-series purchases in the past. 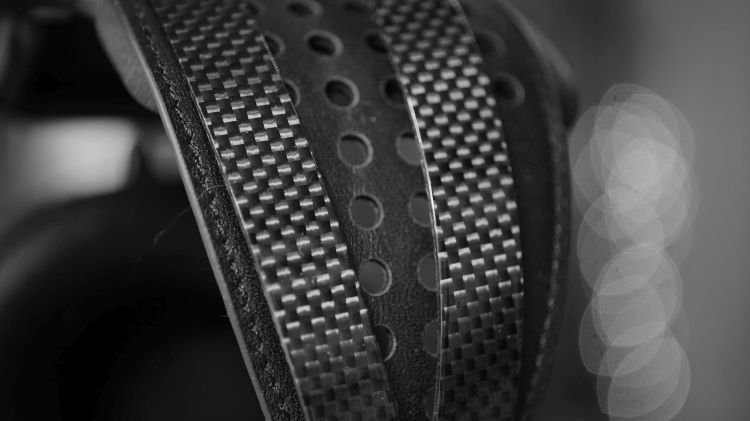 The MX4 is composed of a magnesium housing and a carbon fiber headband. Undoubtedly, the build overall is excellent. Each strut and rod of the adjustment piece is solid metal and the headphone itself feels very dense and weighted. 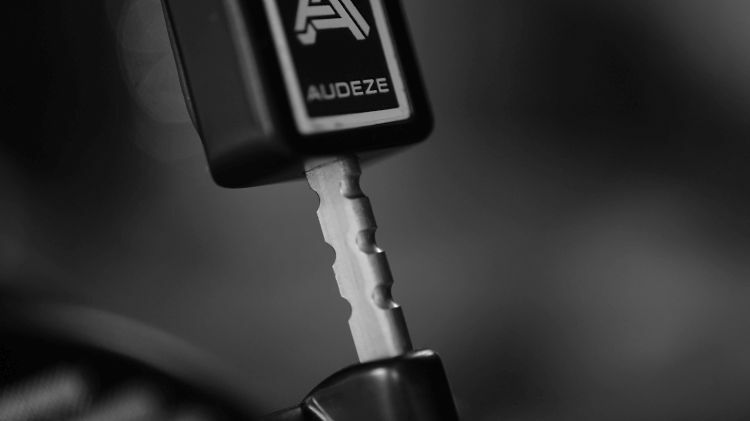 Audeze has included a very nice feeling, black, and twisted cable that is terminated in a ¼ adapter. You’ll need an extension cable if your rig is more than a few feet away from your chair. My feelings on the large and bulky 4pin adapters on the headphone side of the cable are still too large. I am not fond of them and feel they are too hefty for an already bulky headphone. Sometimes, when I am sitting down, that heft of the adapter sticking out of the headphone at that angle can prevent me from looking down and to the side. It isn’t a big deal. I just feel like that after all this time, those adapters should evolve to something much smaller, and at the very least, to reduce weight even a bit more. I am also not on board with the ¼ termination. The reason being that a smaller 3.5mm termination with a ¼ adapter on it will always be the wiser route for stability and even safety when plugging into a smaller source if need be. The opposite, where the large and cumbersome ¼ adapter head requiring an even larger ¼ to 3.5mm adapter on top of it just isn’t what I want to deal with. A headphone of this cost should come with a portable length and standard 3.5mm cable and not an adapter. In fact, it should also come with a balanced option of your choice as well, all for the stock price. I see why studio engineers want a ¼ cable, but that limits the market value for anyone who wants to use it on a portable source, a laptop or your pick of a source using a 3.5mm or even an XLR setup. At 550g or so, the MX4 is moderately cumbersome. Although, the cut of the carbon fiber headband really helps with that. Oh, also, if you want a spare headband for this model, it costs $200 in Audeze’s Accessory Shop area. The MX4 is well balanced, thankfully, and it rests on my head with a level fit that doesn’t apply pressure to the top of my head. However, it has some clamp factor, which I am not happy with on a subjective level. As a former studio mixer and DJ, I do not want hefty clamp and pain, I do not want any discomfort in the slightest. But, that would be my wants and desires talking and not what reality can provide. The MX4 is not uncomfortable, but the weight factor and moderate clamp make it a bit difficult to enjoy and partake in after about an hour or two of usage. I don’t see a need for this type of a clamp on an open back over ear without any isolation. It doesn’t need to grip my head if I am alone in a studio and mixing something, or if I am critically listening on a personal rig in my home. I could do with just a little more give and freedom in that regard, just a bit less caliper pressure would have been, at least for me, subjectively desirable. However, that pressure does not really filter into the overall comfort factor. The headphone is comfortable to me. I just wish it were lighter and that it offered a lesser clamping force. Audeze does a great job with earpads, I think most of us audio nerds already know that very well. The MX4 comes with very supple and soft leather pads that feel fantastic. Thankfully, the headphone is open back and breathes well enough to keep my ears from sweating or feeling fatigued over a short period of time. I enjoy the tactility of the earpad itself, it has an interesting and simple texture that is typical of a higher quality cut of leather. My ears also rest inside snugly and without touching the exterior portions of the inside of the earpad itself, which is always a good thing when you are sitting at a monitor station for hours every day. It takes a while for me to feel any excessive warmth. Truthfully, that may be my local weathers fault and not the headphones fault. If you are in a hot mixing studio, you will experience warmth quickly. So, hopefully, you have a good air conditioner inside your booth, or in your critical listening area setup. Oh no. Another heavy clamping headphone by Audeze. 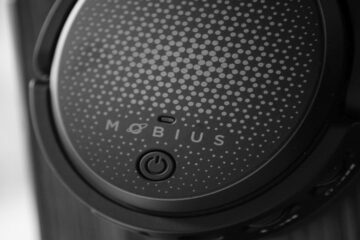 If it is lighter, does an open back headphone need to clamp tight? I need to look to the LCD-4z next and hope the clamp is not too much. Thank you for the review! 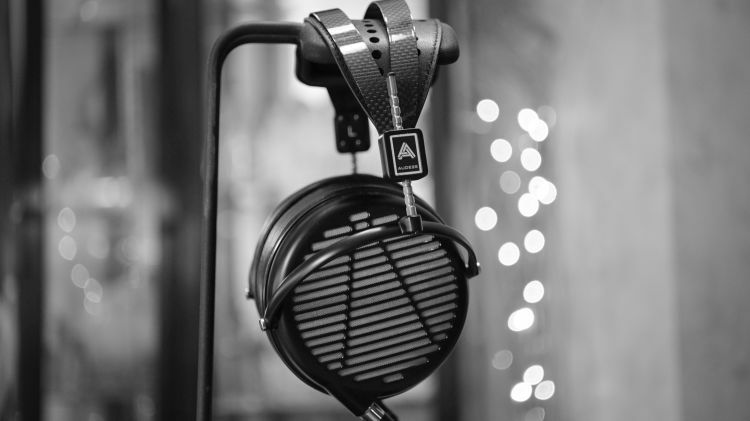 Audeze are TOO HEAVY….I don’t care how good they sound! Their LCD-4 would slide off my head when ever I looked down. If total comfort (ie long term listening) cannot be achieved it’s pointless to go any further. 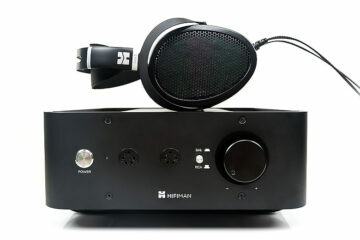 My fav and the best reviewer in headfonics! Objective reviewers are rare gems. Thank you!